Leonora Shiroka Gashi joined the Post-pessimists at a very young age. In this story, she remembers this youth organization as an oasis of hope for Pristina youth at times of isolation. Currently, Mrs. Shiroka Gashi works as an organizational psychology advisor and lives with her family in New York. At the time when we as a nation were going through an existential lethargy, especially for us youth with little space to explore ourselves and our potential, Post-pessimists created a special world for us to find ourselves and overcome every difficulty created by the difficult situation in our country. I joined the organization when I was 14 and was appointed its chairwoman when I turned 16. In this position, I organized meetings and projects. As children part of that organization, we had a more or less structured life because we had weekly meetings in which we would decide on projects and the continuity of activities and we often traveled to conferences and workshops on various topics in different regional countries. You can imagine what a feeling it was for us to open our minds and raise the feeling of belonging to something greater than ourselves. For this and many other things, I would like to thank the coordinator of the organization at that time, Violeta Selimi, who constantly supported and pushed us to believe in ourselves and our abilities. The fact that we were the most visited place by international governmental and non-governmental organs, as well as various international media and organizations, made us feel like an almost necessary part of our society at that time, especially 1998. The meetings with international representatives always ended up with them being amazed by our courage, eagerness, and commitment. I still have a clear memory of their facial expressions when they carefully listened to us and expressed admiration for our energy and the way we managed it, considering the political situation. Be it the monthly newspaper, even though there were times when it wasn’t published, or exhibitions, concerts, and various campaigns to raise awareness, everything seemed inspiring to them. Somehow, we were a “tourist attraction” for whomever came from abroad aiming to get information. Not only was my personal life more structured and oriented toward a clear goal but also, through Post-pessimists, the meetings that took place in our offices or in various regional countries made us more empathetic and open to other people’s experiences, no matter their ethnic backgrounds. I remember summer ‘98, the time when Drenica was burning, when some of us attended a workshop on children’s rights with people from several regional countries. That was the first time I became aware of the fear that the Serbian representatives from Kosovo felt. At the same time, we didn’t lose any chance to present the political situation in Kosovo as suffocating and very dangerous for our lives and well-being. Being part of such an organization was an enriching experience for most of us because we built everything that Post-pessimists was ourselves with youth honesty, enthusiasm, and love. Members of the organization came from various social backgrounds. Even though we were not very diverse because of the fact that people joined us voluntarily, we could still understand each other’s needs. The organization was financially supported by a Norwegian NGO. Their requests changed with the escalation of the political situation in Kosovo. In order for them to continue supporting us, we were obliged to open the doors to the special group of Serbian youth, even though Serbian representatives had withdrawn from the organization some years before without any explanation. This means that at an early age we understood that in order to do something productive and positive, we had to be diplomatic and flexible, even though we weren’t in that position emotionally. That lovely office full of teenage spirit, for most of us, represented a cover of the disintegrating reality because there we managed to create projects and get to know world changes through the Internet, which for most of us at that time was a luxury. 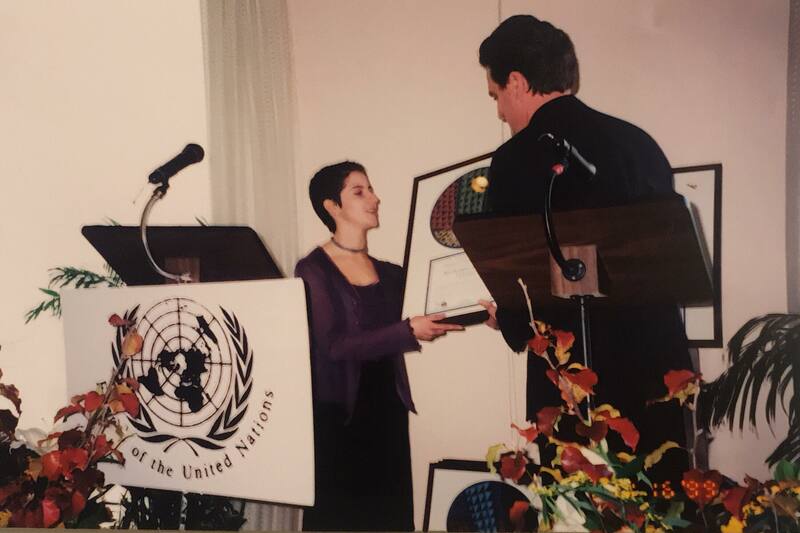 Our last project before the 1999 bombings was awarded by the United Nation for Social Activism, a project conducted in our office with children who moved from war zones, to be exact, from Drenica. The project focused on working with the traumatized to raise their self-confidence and develop various abilities of theirs. 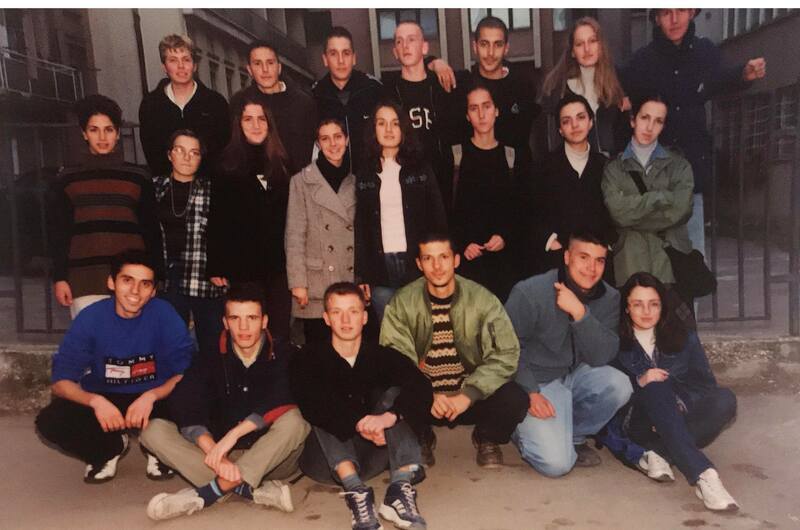 The first project after the war we organized in the summer of 1999 aimed to bring youth together and raise awareness among them of how to take care of the country. as a symbolic action we organized the cleaning, decoration and painting of former Boro and Ramiz, now Adem Jashari Youth Palace. There were some small projects at that time, but, since we didn’t continually have financial support, the group’s energy decreased, and I resigned from my activities in the organization. When young people are given the chance to have something in their hands and others trust their abilities and actions, always with the help of the adults, significant things can happen. Post-pessimists continued for some more years, but I have no information regarding their activities at that time.